About 2 weeks after leaving my successful engineering career with NASA, I was already looking for something to fill the void. The void that I never thought I would have. The void that I thought maybe I shouldn’t have. But it’s the same void that millions on stay-at-home-moms find in themselves. The who-am-I-and-how-do-I-prove-that-I-am-still-a-woman-with-something-to-contribute void. I thought I wanted a career, I thought I wanted to be a full-time mom. But in reality, I want both…without going crazy. Impossible, you say? Then I stumbled upon Lifebushido. They provide virtual assistant services, like hundreds of other firms hiring stay-at-home moms. But something was different. Something felt different. It may have been the stellar reviews I was seeing from current and former contractors. Or maybe it was the crazy name. I don’t know, but I knew I wanted to find out more. So I applied. I received a series of emails that were mostly loaded questions for me that made me say “Hmmm.” Definitely not your standard interview process, but I went with it. Then it was suggested that I join a Lifesbushido Triangle. Yes, a Triangle. It’s essentially a team of other potential new recruits that work together through the hiring process, doing short tasks in an attempt to showcase abilities. If hired, you are then paid for those completed tasks. Sounds ok, but do I really want to dive in head first? Do I want to put effort into a “maybe”? “Maybe” I’ll get hired, and “maybe” I’ll enjoy the work, and “maybe” it’s what I’ve been looking for? Being a girl that’s never shied away from a challenge, I decided to go for it full-steam ahead. After-all, I had nothing to lose as the majority of other stay-at-home opportunities were not going to cut it. 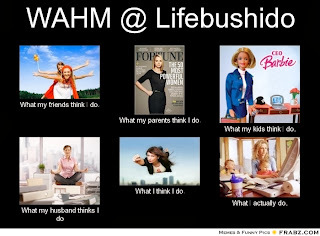 So here I am, half-way through the Lifebushido Triangle process, and I’ve fallen for it. It IS different. And I like it. I can only hope that I get hired. I’ve even created a perception meme, which everyone knows is a sign of deep commitment. Good Article to see here and gain useful information. You Yinzei. Shame uttered after, his face flushed pity if the text is difficult to maintain a normal state of mind is no longer North Face Fleece Clearance under Cheap North Face Fleece the watchful eyes and ran away like jumped out of the ring disappeared in the crowd. Parajumpers Right Hand Parajumpers Parka Jacket parka Hefatongyan sell out towards the side door speed away. One hundred and ninetieth chapters too Shizu, the rain may not be rude.Anxious shout loudly, his master's strange temper he knows that Parajumpers Right Hand parka people who live seven or eight hundred years to do anything about do not feel strange.Little guy, some meaning. Hefatongyan old man faint smile, eyes light flash, it would have been Parajumpers Right Hand parka instantaneous Cheap Ugg Boots Sale speed rushing water polo stuck in the air, can not advance a half minutes.Bang. Broken water polo, Hefatongyan old man faint smile, recovered eyes. Shizu hands Baoquan UGG Kensington Bestellen uncommunicative way too good really means.Oh, your kid flattering'd have sent two down but it means the point. Ugg Bailey Button Goedkope Bestellen Hefatongyan old man faint smile, surprised to find himself suddenly a puck UGG Kensington Bestellen moving speed from.